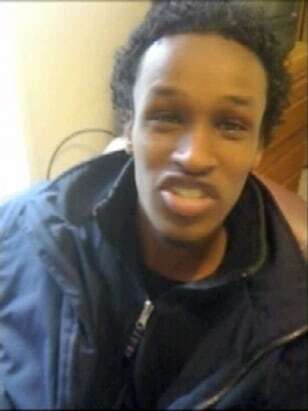 This recent, undated photo taken from a cell phone video obtained and aired by Portland, Ore., televsion station KPTV, shows 19-year-old Somali-born Mohamed Osman Mohamud. In the video, which the station says was recorded May 22, 2010 in an Oregon State University dorm room, Mohamud rants against the West. Mohamud has pleaded not guilty to attempting to use a weapon of mass destruction Nov. 26, during the lighting of Portland's Christmas tree, an annual event that draws thousands of people.